In congress work have taken part the representatives of WIPO, INTERPOL, BASCAP, national customs and law enforcement bodies, representatives of the companies specializing on protection of intellectual property rights, and also representatives of the companies-manufacturers. During the congress the basic directions of struggle against manufacture of counterfeit production and infringements of intellectual property rights have been designated, the statistical data and tendencies of development of shadow criminal manufacture were considered. Participants have exchanged opinions concerning ways of combating against manufacture of counterfeit production, counteraction to infringement of the IP rights and struggle against a piracy. Also the considerable attention has been given to the ways of revealing, identification and destruction of counterfeit goods. During reports, the necessity of informing of the public about threats of the counterfeit manufactures, which are a source of financing of criminal groups, was repeatedly marked. Attorneys of IPR GROUP have carried on negotiations and consultations concerning effective interaction on protection of the rights of manufacturers, with the assistance of the international organizations and national law-enforcement and police services. We thank colleagues for the possibility to discuss actual questions of struggle with counterfeit and a piracy. We thank employees of the international organizations (INTERPOL, EUROPEAN COMISION) and national law-enforcement services (US DEPARTMENT of JUSTICE, Police, Custom Service) for detailed explanations of interaction possibilities and support at realization of protection of the rights. Also we express gratitude to Mr. Kofi Esuman, president of INSTUTE of PACKAGING for the given public informing materials. 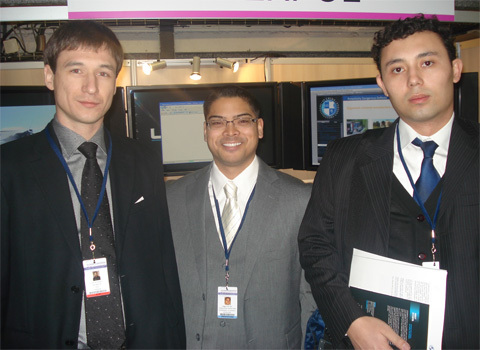 Kirill Kisterky (left), Managing Attorney of IPR GROUP, INTERPOL Officer, Farhod Jumaev (right), Head of Int. Relations Division of Uzbekistan PTO. 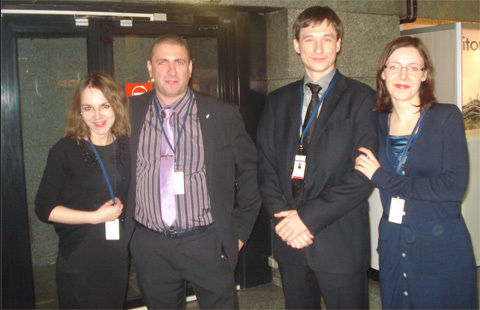 Anna Szajna (PATPOL), Olivier Glineur (Judicial Police, Belgium), Kirill Kistersky (IPR GROUP), Maria Jurek (PATPOL). 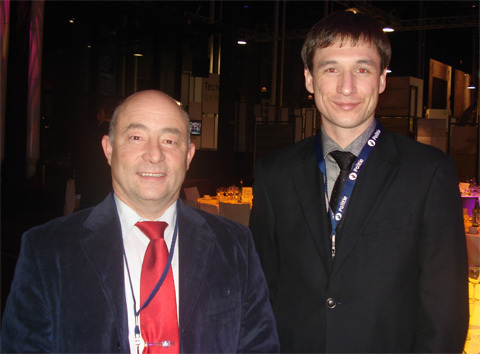 Daniel NN (EUROPEAN CUSTOM SERVICE), Kirill Kistersky (IPR GROUP).